other information [Self-published], 2014. Recorded in Whidbey Island, Washington, USA, except track 9 (location unspecified), and track 11 recorded in Vashon Island, Washington, USA. 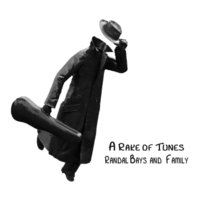 Released 11 July 2014 according to Randal Bays's Facebook page viewed 26 May 2015. Liner notes are published at <http://arakeoftunes.com/images/rakeinsert.pdf>, viewed 26 May 2015.